Dallas police on Saturday identified the off-duty officer who shot a neighbor in his own home as Amber Guyger, who has been with the department for four years. Dallas Police Chief Renee Hall said Saturday that a warrant for the officer has been put on hold by the Texas Rangers as they investigate. 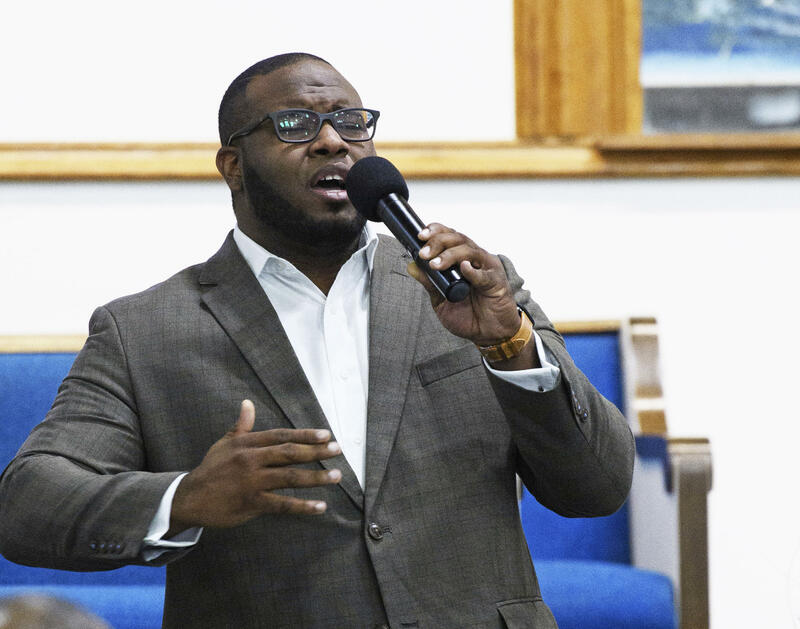 Late Thursday evening, an off-duty Dallas officer who was still in uniform shot and killed 26-year-old Botham Jean in his apartment, saying she apparently mistook his unit as her own, CBS Dallas / Fort Worth reports. "We are totally committed to getting to the bottom of this situation," Hall said Saturday while taking questions about the shooting during a leadership summit at Paul Quinn College. "This is a tragedy. Regardless of the circumstances, this is a tragedy on both sides," she said. "The Texas Rangers had an opportunity to interview the officer. Based on that interview, they asked us to hold off on the warrant until they had an opportunity to investigate some of the information that was provided during that interview," Hall said. Guyger was in full uniform when she shot Jean, who was black, Hall said. Hall couldn't provide the location of the officer or whether she was in custody. Hall said Friday the officer's blood will be tested to determine whether she had been using drugs or alcohol. Jean grew up in St. Lucia and attended Harding University in Searcy, Arkansas, where he often led campus worship services before graduating in 2016, the school said in a statement. His mother, Allison Jean, who lives in St. Lucia, suggested her son might still be alive if he were white. "I didn't know she was white until now. If it was a white man would it have been different? Would she have reacted differently?" Allison Jean said Friday in footage broadcast by KXAS.